Interesting selection to spend some time swimming in Leeds. Is it not your first time here? Tell us how it went using the Facebook comments below or contacting us directly! 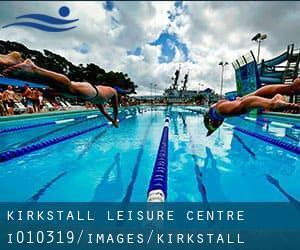 Kirkstall Leisure Centre is only one of all the swimming pools Swimia is providing you, and its details has been shared with us by a swimmer like you.Keep in mind you are able to now promote Kirkstall Leisure Centre by sharing this page with your friends, adding comments and linking to us. This sports centre delivers 25 meters x 12.5 meters, 6 lanes, 0.8 meters - 1.6 meters depth, 0.8 meters - 1.6 meters depth, Indoors. Contact facts for this Swimming Pool like phone number and email address are number. If you believe that any of the data is incorrect, please get in touch with us. Aid us be better day-by-day. 186 Otley Road , Headingley , Leeds , England , UNITED KINGDOM (Postal Code: LS16 5PR). Among all the activities offered by the centre, if you are enthusiastic about swimming you will enjoy 25 meters x 10 meters, Indoors. Just in case you would like to get in touch with this Swimming Pool before dropping by, we only know the phone number. Broad Lane , Bramley , Leeds , England , UNITED KINGDOM (Postal Code: LS13 3DF). This sports centre offers 25 yards, Indoors. Contact data for this Pool including phone number and email address are number. Cookridge Lane , Cookridge , England , UNITED KINGDOM (Postal Code: LS16 7NL). Among all the activities provided by the centre, in case you are thinking about swimming you'll enjoy 20 meters x 8 meters, Indoors. Just in case you would like to make contact with this Swimming Pool before dropping by, we only know the phone number. Updated on 2019 Scott Hall Road , Chapeltown , Leeds , England , UNITED KINGDOM (Postal Code: LS 7 3DT). Among all the activities supplied by the centre, if you are interested in swimming you may take pleasure in 25 meters x 12.5 meters, 0.9 meters - 1.6 meters depth, 0.9 meters - 1.6 meters depth, Indoors. If you should get in touch with this Pool, email address and phone number are both number. Smeaton Approach , Crossgates , Leeds , England , UNITED KINGDOM (Postal Code: LS15 8TA). Among all the activities offered by the centre, if you're considering swimming you'll appreciate 25 meters x 10 meters, 1 meters - 2 meters depth, 1 meters - 2 meters depth, Indoors. Just in case you need to get in touch with this Swimming Pool before dropping by, we only know the phone number. Updated on 2019 Willow Terrace Road , University of Leeds , Leeds , England , UNITED KINGDOM (Postal Code: LS 2 9JT). Swimmers like you reported 25 meters x 17.5 meters, 8 lanes, Indoors. Unfortunately we do not have the e-mail address of this Swimming Pool, but we can give you the phone number. Carr Croft , Armley , Leeds , England , UNITED KINGDOM (Postal Code: LS12 3HB). Swimmers like you reported 25 meters, 5 lanes, Indoors. Phone number and email address are number for this Swimming Pool. Wakefield Road , Oulton , England , UNITED KINGDOM (Postal Code: LS26 8EL). This sports centre provides 25 meters, Indoors. Contact info for this Swimming Pool such as phone number and email address are number. Beeston Road , Middleton Grove , Leeds , England , UNITED KINGDOM (Postal Code: LS11 5DJ). Swimmers like you reported Olympic size x 25 meters, 10 lanes, 2 meters uniform depth, 2 meters uniform depth, Indoors. Phone number and email address are number for this Swimming Pool. Cardigan Fields Development , Kirkstall Road , Leeds , England , UNITED KINGDOM (Postal Code: LS 4 2DJ). Swimmers like you reported 25 meters x 10 meters, Indoors. Unfortunately we do not have the e-mail address of this Swimming Pool, but we can provide you with the phone number. Oakwood Lane , Leeds , England , UNITED KINGDOM (Postal Code: LS 8 3LF). This sports centre provides 25 meters x 12 meters, 7 lanes, Indoors. Contact info for this Pool such as phone number and email address are number. No. 21 The Light , The Headrow , City Centre , Leeds , England , UNITED KINGDOM (Postal Code: LS 1 8TL). This sports centre gives 20 meters x 8 meters, Indoors. Contact information for this Swimming Pool such as phone number and email address are number. Quarry House , Quarry Hill , Leeds , England , UNITED KINGDOM (Postal Code: LS 2 7UE). This sports centre delivers 25 meters x 10.5 meters, 4 lanes, 1 meters - 1.8 meters depth, 1 meters - 1.8 meters depth, Indoors. For this Pool, only phone number is number here. Tongue Lane , Moortown , Leeds , England , UNITED KINGDOM (Postal Code: LS 6 4QW). Among all of the activities supplied by the centre, if you are interested in swimming you may appreciate 25 meters x 13 meters, Indoors. Just in case you need to contact this Pool before dropping by, we only know the phone number. The details of this Pool has been verified lately by a member of their staff.